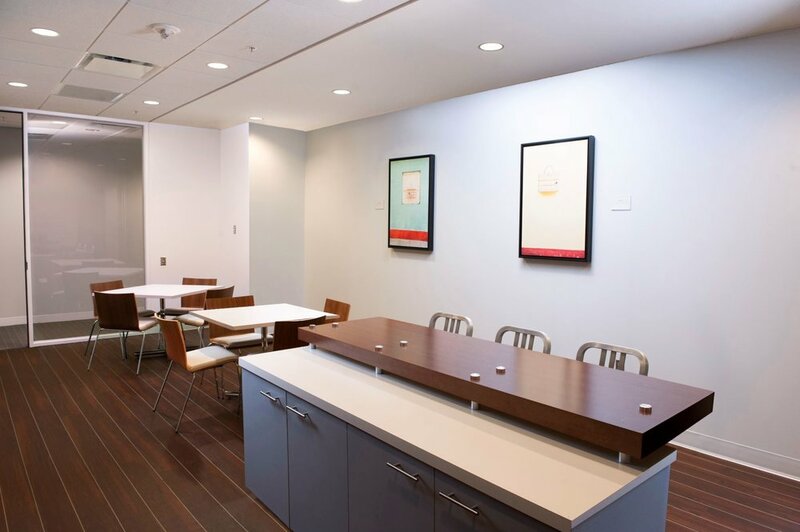 Hunnicutt Construction has been completing swift, on budget tenant fit outs and office renovations throughout Central Virginia for over thirty years. We’ve been part of the evolution of the modern workspace. Trends in work practices and advances in technology, along with rising real estate costs, have changed the way businesses buy and use their office spaces. As they configure their assets to attract and keep desirable, profitable tenants, commercial real estate owners and managers must regularly update their stock to remain competitive in a constantly changing marketplace. That’s why it’s crucial for them to have a good relationship with a trusted General Contractor. Our belief in the importance of building long term relationships with our clients is at the heart of our relationship driven management style. Creating strong, long term collaborations with commercial property owners and facility managers allows us to provide not only superior customer responsiveness and support, but also the most cost effective, timely construction services available. We create the shared workstations, collaborative, multipurpose flex spaces, and smaller private areas that define the new office model, as well as the important amenities- such as coffee bars, breakout spaces, and fitness centers- that help companies attract and retain talent. Streamlining your operations? Hunnicutt Construction can help adapt your existing spaces to accommodate your needs. and smart office features that will serve your business long into the future. Need to upgrade your properties to meet ADA requirements? We can guide you through the fastest, most cost effective renovations to ensure compliance. As your existing building stock is being reimagined, upgraded and repositioned to meet the area’s growing tenant demand, having a General Contractor on your team that’s familiar with your properties, tenants, and procedures saves you precious time and money. Our competitive pricing, outstanding customer support and responsiveness to your needs- both large and small, is the Hunnicutt advantage. Our creative, experienced staff of construction pros look forward to building a relationship designed to help you make the most of the critical decisions that affect your operations- and bottom line- for years to come. If you are planning an office build, a tenant upfit, a workspace renovation or a technology upgrade, contact us.